Your pulling out *all* the stops today I see ©bobcat (in a hat)©, hats off to you. note to the faux one, the real TORI is blonde and wasn't on 57th in NY but her mom was. Everybody on earth dies and goes to heaven. God comes and says, "I want the men to form two queues - one line for the men that dominated their women on earth, and the other line for the men who were dominated by their women. Also, I want all the women to go with St. Peter." The next time God looked, the women are gone, and there are two lines. The line for the men who were dominated by their women was 100 miles long, and in the line of men who dominated their women there was only one man. God got mad and said, "You men should be ashamed of yourselves. I created you in my image, and you were all whipped by your mates. Look at the only one of my sons who stood up and made me proud. Learn from him! Tell them, my son, how did you manage to be the only one in this line?" A Couple Was Celebrating Their 50th Wedding Anniversary, The Man Looks At His Wife As Asks "what Would U Like To Do For Our Anniversary?" She Then Replies "we Could Run Upstairs And Make Love" He Says "make Up Your Mind, We Can't Do Both." I wonder what is going on in our nation. It is a RIGHT to walk anywhere on public ground. Driving is a PRIVILEGE, the drivers are responsible in ALL instances. This line of thought is ridiculous. The only problem with that mickey, is the drivers are too busy texting as well. @bobcat(in a hat) that one is excellent. LOL, you did a masterful job today. Thank you very much. At least they let them stay up for a while today. That one was cute. Awww... So sweet. Mary or more like troll of Mary, that is a terrible thing to say about @bobcat. He is anything but dull and boring. How can you wish a divorce on someone who has managed to beat the odds of a relationship? In the old days, text meant words, not alphabet soup. 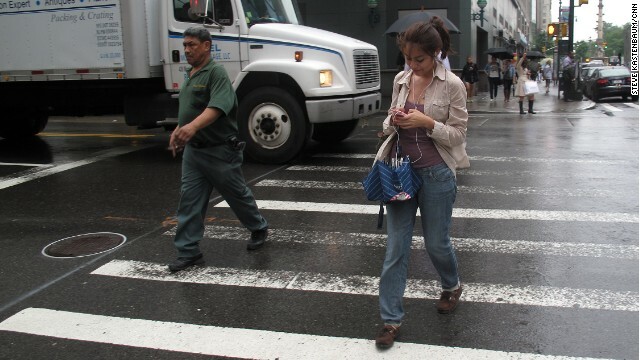 mmm...walkin' while texting WWT was probally hit by a drivin' while texting DWT..
OK, so you can get hurt (or even killed) trying to text and walk at the same time. But is this something that our government should be wasting it's time on? Is it really the governments job to ensure that you can not do anything that is stupid? If we start making being stupid a crime, then we will have to arrest 99% of our current politicans! !